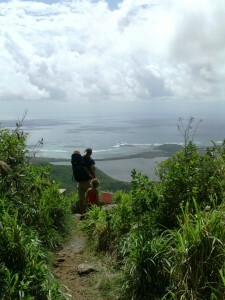 During this half day Nature Tour for all ages we will visit and enjoy St Maarten and St Martin’s natural highlights. We’ll go wildlife watching at a wetland, make a short hike through a forest with stunning views and we’ll snorkel in the best bay of the day. We take a maximum of 6 guests per tour, for larger groups check out our Private Tour section, and our vehicles are air conditioned. For a detailed description of this eco tour see below. Starts at Dock Maarten in Philipsburg – How to get there? Time 08:30 AM – 12. 30 AM Are you on a cruise ship? What to bring: Wear your swim clothes and suntan lotion. A hat and a (small) towel will come in handy. Wear shoes that are comfortable for walking and can’t slip off easily, sandals or sport shoes are best. Included in this trip are: We’ll have cold water and you’ll be offered Iced Tea and Iced Coffee and a slice of our homemade banana bread. Upon making your reservation please let us know whether there are any specific dietary requests. Also included is the use of our binoculars, wildlife identification cards, rain coats (only for the rare occasion), snorkel gear, floating noodles and fish identification cards. Upon making your reservation please let us know what your shoe sizes are. The Hiking and Snorkel tour is a full island tour, we’ll cross the Dutch-French border twice and you’ll have great views of both Saint Martin and Sint Maarten. The first stop is at the highest peak of the island, the green and tropical Pic Paradis at 424 mtr/ 1390 ft. A 20 minute slight sloping and easy hike past lush vegetation, impressive rock formations, vibrant bird sounds and scurrying lizards will bring us to the top where a wide vista of the Eastern side of St Martin spreads out in front of us. While you rest and enjoy the view, your guide will tell the story of how St Martin came to be and what it is you see from the top. 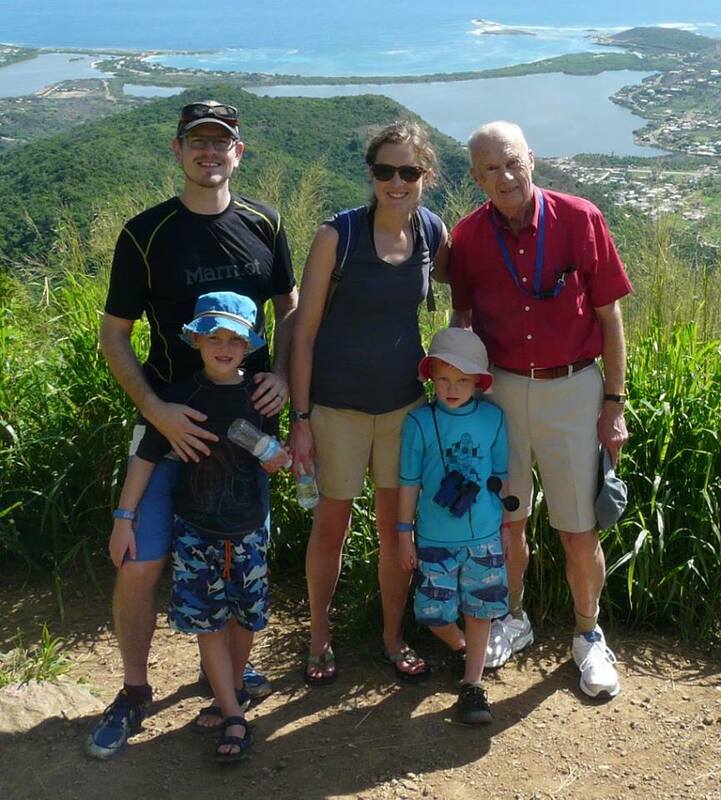 After the downhill walk back, we hop in the van for a short ride to the viewpoint on the Westside of the peak where we’ll enjoy Iced Tea and Iced Coffee with a nice slice of homemade banana bread. 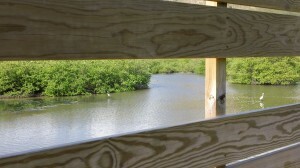 Our second stop will be at one of St Martin’s many salt or fresh ponds. Here we’ll spot water, shore and/ or sea birds in their natural habitat. In between the mangroves crabs and iguanas can also be found. Depending on the waves and weather we’ll choose the best snorkeling site for the day, preferably from a quiet beach. 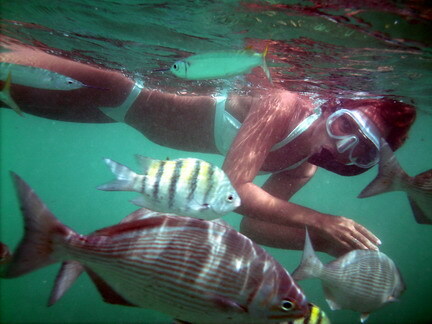 The bays we prefer to snorkel are Galisbay, Little Bay and Le Galion. We’ll take our snorkel equipment and go for a nice and refreshing snorkel off the beach. Both our guides are trained dive professionals, they will make sure you are comfortable with the snorkel gear before heading off for some underwater sight seeing. Expect at least Sargent Majors, Blue Tang, Chromis, Trumpet Fish, Brain Coral, Sea Fans and more. We do NOT feed the fish, as regular feeding would harm the natural balance of the ecosystem. As the tour continues around the island, your guide will tell you about St Martin’s history, nature and culture. When we’ve dried up a bit, there’s sadly only one thing left to do: we’ll drop you off safely at your starting point: your hotel, the cruise ship terminal or Dock Maarten. For an overview of which wildlife we’ll likely see on our tours, check out the What to Spot section. Go to our Facebook page to see current photos of our tours, and read what people say about our tours on Tripadvisor. Book this trip now, we’re sure you’ll have a great time touring St Martin’s wonderful and varied nature sites with us. Check out more Seagrape Tours here. Have you done this tour with us already, and looking to do some hiking by yourself? 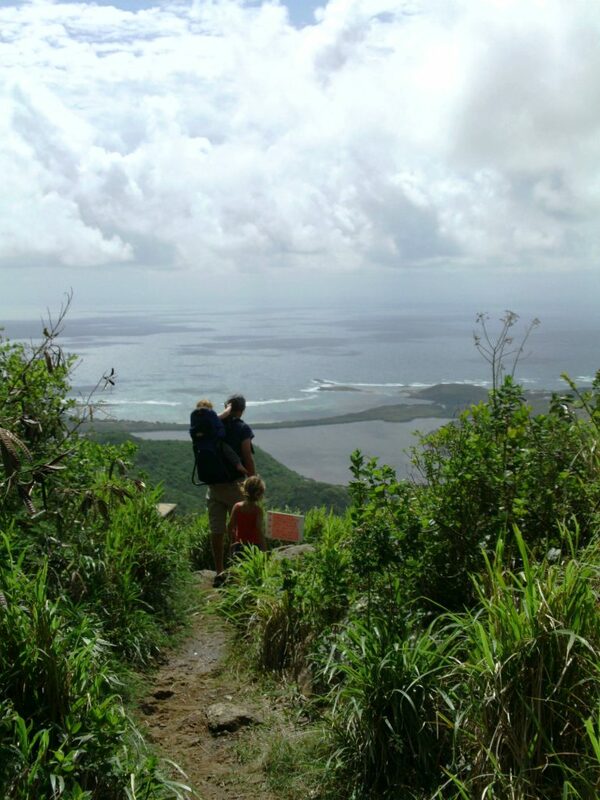 Here a description of 4 of our favorite hikes on St Martin.